MIKE MCGUIRE, PRODUCER: Hello, and welcome to The Real News. This is Mike McGuire in Baltimore. Today we’re joined by the Baltimore Brew. And we have in studio with us Fern Shen, who is the editor of the Baltimore Brew. She started her reporting with The Baltimore Evening Sun in the 1980s and then reported for The Washington Post for 17 years, where she was an award-winning writer covering Maryland politics. We also have with us Mark Reutter, who is the senior reporter for the Baltimore Brew. Mark started his career with The Baltimore Evening Sun as well in 1970, where, among other things, he undertook an intensive study of blue-collar life and the business history of Bethlehem Steel, which led to his book Making Steel: Sparrow’s Point and the Rise and Ruin of American Industrial Might. So we’re here talking to the Baltimore Brew partly because they’ve won a lot of high praise from folks like Next City in Philadelphia, who talked about how they have recently scooped all of the traditional media here in Baltimore. And they’ve also won awards from folks like The Baltimore City Paper for best blog and best Baltimore website. And what they’ve won for are a bunch of stories that, as Next City noted, had been scooped by traditional media. So I think the story that the Brew is perhaps best known for and that they promote themselves the most is a story about water meters, where Baltimore City had requested proposals for the replacement of all the water meters with smart meters here in Baltimore. And the process got to be a little bit interesting. And, Mark, you did a lot of reporting on this. So can you tell us the story of these smart meters, who was involved, what the story was, what you found out? MARK REUTTER, JOURNALIST, BALTIMORE BREW: Well, it’s a very traditional sort of story. I got a tip from someone who has close contacts at City Hall–[he’s] not at City Hall–that there was a very politically connected group of contractors that were bidding on this contract and that they had the inside track. And while in many ways–and we’ll talk about it later–it’s very hard to get information from the city, bids are public information, and if you go to the right documents and start looking at that, you can find a lot of interesting stuff. And what I found is that the politically connected group had put in a bid $100 million more than the other bidder. And then we began $85 million versus $185 million. MCGUIRE: So not just $100 million more, but more than double the value of the contract. FERN SHEN, JOURNALIST, BALTIMORE BREW: And they were wired to get it, that they were likely–. REUTTER: And they were likely to get it. REUTTER: There was, however, this long process. So, before, it would go before the estimates and the mayor for final approval. That time period is–typically the media in Baltimore just ignores that whole process and just reports on when an award is made by the Board of Estimates. We had the opportunity, and one of the things we do is to look at this material ahead of time, and we get to examine what’s going on. We’ve done this with a number of contracts. So we started doing this. We then started looking at the companies, the fact that the company that was bidding so much had no experience in this area, that the man financing this company and seeking to get a financing agreement with the city to pay for these meters over time was the same person who was the mayor’s choice for the Grand Prix. So we started hammering away at these stories, asking the mayor about it, and it went back and forth. And finally, at a rather climactic Board of Estimates meeting, they voted for the low–approved the low contractor. The high contractors who were there looked very crestfallen. And, in fact, the company that we pointed out had very questionable finances was sold shortly thereafter. So it was probably lucky they didn’t pick them. MCGUIRE: So you make it sound like a pretty simple process, that you discovered this perhaps neglecting reviewing bids and then the city did the right thing and went with the lower bidder that had more experience. REUTTER: It wasn’t quite that easy. This was over a period of around five weeks. We ran maybe seven or eight major stories. At first there was a lot of, well, you can’t really write about this. The other media–. MCGUIRE: This is the city telling you you can’t write about it. REUTTER: The city, essentially that this is within the process, therefore we can’t really discuss it with you. Other sources, though, were coming out. And again we looked carefully at these bids. The bids themselves were highly complicated. They were multivolume. So we were looking three, four hundred pages of that. There were also companies from around the country that were feeding us information when we had contacted a number of other companies. So in certain ways it was a bit of a perfect storm. Some stories come together well. Others don’t. The traditional media then began more or less weighing in on this because it was something that the public could really–glommed onto, because in many ways it was, compared to many stories, very straightforward: you the taxpaper are being asked to pay $100 million more. And people were just sort of boggled. They mean, do you mean $100 million? Yes, $100 million. MCGUIRE: So you use the word politically connected. And even though there were initially three bidders for this smart meter contract, only two bids were being reviewed. MCGUIRE: And both bidders had their own political connections. MCGUIRE: So can you talk about what that means, to be politically connected in Baltimore? REUTTER: Well, I’ll talk about how–I think one of the ways we broke this story is because for the last few years we have intensely been looking at campaign contributions. That is really, along with the contracts, where politics, business, and deals are made. So much of the other stuff that is fed to the media is fluff. We reported back in 2011, during the mayoral campaign, that a person from Columbia, Maryland, a financier named J. P. Grant, was the mayor’s biggest campaign contributor, that even though you are by law not supposed to contribute more than $4,000 in an election cycle, he had gotten arranged for his company, some other companies he ran, his son, his wife, his sister, his brother-in-law all to contribute. And if we had not written that story and done that homework, we would never, probably, have made the connection when J. P. Grant suddenly popped up in these bid documents. MCGUIRE: Well, it’s not the first time he’s popped up in your reporting. REUTTER: No, no. He popped up with the Grand Prix. So we had been sort of tracking him and had definitely contact with him. In this case, he wouldn’t talk to us, but we had all of these documents and we were able to piece this together. And the other side, yes, was also politically connected, and that seems like how things worked. They had a very well-connected lobbyist that we had written about. So the funny thing was is that a number of people who were involved here were calling us with information all because it suited them, ones who a few months before were upset about some of our reporting. But we play it straight. We do factual. We check everything out as best we can. And we write what we know and nothing more. MCGUIRE: So, Fern, I want to talk to now on the basis of this work. So why did you start the Brew? You started it in 2007. And what’s been the response to the Brew? SHEN: It’s been really heartening. And on the days when there’s hard work and you can be discouraged, it’s very encouraging to hear people who really respond to reporting that at times is kind of–maybe kind of dry and gnarly. So when I started it, it was a little more simple idea. You know, here’s Baltimore with daily newspapers dropping like flies, cutting staff, fewer boots on the ground and eyes out in the community. And so, could a news website–this was kind of a new thing. You know, people were starting to start these around the country. Baltimore can really use this. And it was kind of eye-opening what sort of impact you could have with a website that you start pretty much on your own with some available WordPress software and some journalistic background like I’ve tried to bring to it. And one example I was thinking about coming in here was Madison Park. So this is a housing complex. You’re maybe familiar with it. Back when the Brew was starting, the city wanted to shut it down. They were maintaining it poorly. There was crime. There was danger for the residents. It was a real problem. So there was a press conference to talk about, you know, we’re shutting this place down. And so, at the time, I had an intern from–Mark wasn’t really in the picture, or maybe he was covering Sparrow’s Point. But simply with an intern from Hopkins, we were able to cover another aspect of this story. The main story other reporters were coming up with[, or at least (?)] the Sun reporter who was there, was people are saying, yay, thank goodness you’ve closed this down. This has been–and this was from the residents–this has been–this place is hell. MCGUIRE: But the story that you found was? SHEN: People were saying, well, wait a minute, where are we going to live? We’ve always been here. I’m here with my kids. And what happens to us if you shut this down? No one’s telling us this. And they were very anxious and very fearful. And simply by having another set of eyes, even young guys, a student, they could see this. So just the idea of having more reporters out there looking and kind of checking each other, it was gratifying to find that the Brew could contribute. 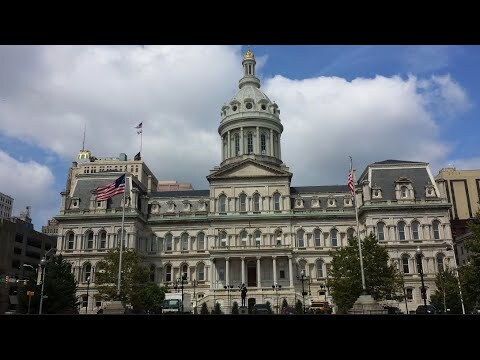 MCGUIRE: In our second segment, we’re going to get more into housing policy, because you’ve also done a lot of work on Baltimore City housing policy. But I wanted to bring up something–. Yes? SHEN: I was just going to say, to connect to what Mark was doing, talking about just now. As he came onto the scene, the value of having the Brew look at accountability reporting and look at where the money is going in the city really has come to be where we’ve really placed some focus. And finding that for a city that cries poor to not be managing its money and to be having money bleeding away through cronyism and mismanagement is just a crime. MCGUIRE: –in terms of the response that I was asking about to the Brew, you mentioned reader responses, which are/have been overwhelmingly good. MCGUIRE: But what about the city response? In March you had written a piece called “Our Lips Are Sealed”. So how has the city responded to your work after Mark pointed out that the city was poised to spend an extra $100 million on a water contract? SHEN: Well, it’s been an up-and-down thing, lately kind of down. A lot of parts of the city government have just gradually stopped responding to the Brew, and we managed to report anyway, and we do our best to. And if they want to respond to us after the story’s published, we’re thrilled and happy to get it. But it’s been a kind of a circle-the-wagons, no-news-is-good-news for us, and it’s been, I guess, a kind of a defensiveness is the reaction so far. And it’s disheartening, but we do what we can. REUTTER: Well, it’s two sides. Fern is certainly right, but that then there’s another side. They also enjoy the attention that we’re actually drilling down and writing detailed stories about policy and about issues. So someone recently who had just left the government said, oh, you are referring to one department; you are just so hated over there. And then she said, you know, you’re also so loved over there. And that was sort of the idea. I think that the city has some issues from up high on lack of transparency, of not even telling the story where they could give their position. And we had been going extra mile to do that. But it’s usually–it goes up and down. We have good relations. I talk to the top people in the city. They definitely respond. SHEN: I think they appreciate that you’re so well prepared and take them seriously and kind of try to analyze things on a deeper level and appreciate what they’re doing. REUTTER: So I think that this is–I hope that this is really what the press should be. We’re not their buddies and we’re not distant critics or bloggers carrying on and giving rants. We’re–I think, the key to the Brew is that it has old-fashioned sourced reporters who are pretty experienced, have been in Baltimore for many years. And we’re taking this so-called old-fashioned objective reporting, and we’re bringing it into the 21st century using the internet, using the availability of records, electronically and otherwise, and kind of updating that. But we’re, you know, old-fashioned journalists and we don’t consider ourselves a blog. We consider ourselves a newspaper. But we’re also a newspaper that when we have done our research, talked to all the people we can, our readers know that we’ll give a perspective, a perspective grounded in facts of this. So you’re not wasting your time with he said, she said, on one hand, on the other hand. And I think that’s really important, because we don’t want to waste our readers’ time. And so that’s sort of the underpinnings of what we’ve done. MCGUIRE: We’re going to come back for a second segment with the Baltimore Brew, but for now we’ll wrap it up. And thank you very much for watching The Real News. And thank you, Mark and Fern, for joining us.